A future prime minister could choose to alter the relationship between the UK and the EU, Michael Gove has said. But the environment secretary told the BBC’s Andrew Marr Show that Theresa May’s strategy, agreed at Chequers in July, was the right plan “for now”. The proposals have sparked criticism from other Brexiteers and resulted in some discussing a leadership challenge. Meanwhile, London mayor Sadiq Khan has called for a second EU referendum on the deal Mrs May agrees with Brussels. Mrs May’s Brexit proposals, backed by her cabinet including Mr Gove, are unpopular with many backbench Tory MPs, who argue it would compromise the UK’s sovereignty. 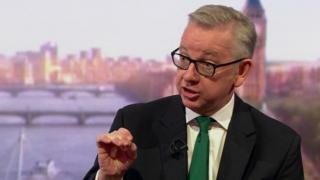 Asked if the Chequers plan was permanent, Mr Gove, who was a leading figure in the Leave campaign, said: “Yes, but there’s one critical thing, a future prime minister could always choose to alter the relationship between Britain and the European Union. 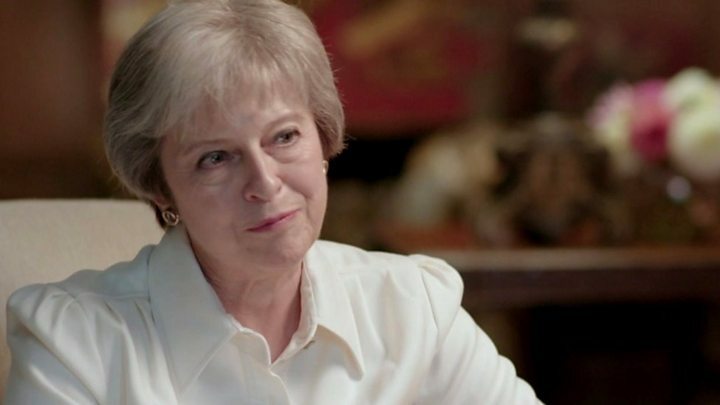 In an interview to mark the six-month countdown to Brexit, Mrs May told the BBC’s Panorama programme she was irritated by the ongoing speculation over her position as prime minister. Asked if she would reassure the Tory party that she was not determined to go “on and on”, she said: “I get a little bit irritated but this debate is not about my future. This debate is about the future of the people of the UK and the future of the United Kingdom. “That’s what I’m focused on and that’s what we should all be focused on. Mrs May’s comments came days after Conservative MPs opposed to her Brexit plan met to discuss how and when they could force her to stand down. About 50 Brexit-supporting members of the European Research Group (ERG) met on Tuesday to discuss a leadership challenge. Mrs May has said she wants to strike a trade deal with the EU for after the UK leaves on 29 March 2019. She has also said there needs to be “friction-free movement of goods” with no customs or regulatory checks between the UK and EU on the island of Ireland, in order to avoid a hard border there. The UK and EU are hoping to agree a way forward next month, at the same time as they settle the terms of the UK’s withdrawal, including a transition period up to the end of 2020. We voted in 2016 – why is it taking so long to leave? BBC Panorama, Inside No 10: Deal or No Deal? is on Monday 17 September at 20:30 BST on BBC One as part of a week on in-depth coverage across the BBC to mark Brexit: Six Months to Go.